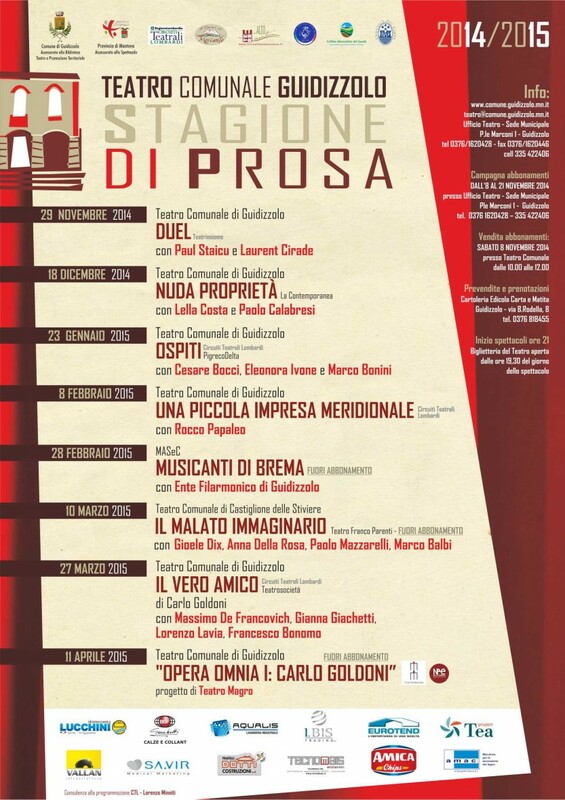 On 29 November 2014, the fifteenth season of the Municipal Theater of Guidizzolo will reopen its curtain. This season, just like the previous, brings to the stage shows and actors of the national and international scene. 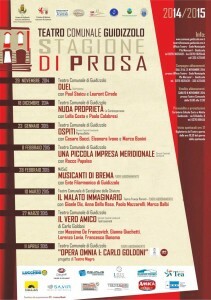 The Teater of Guidizzolo belongs to Circuito Provinciale dei Teatri and Circuiti Teatrali Lombardi. The programming is also expanding to non-subscription performances offered in other theaters, especially in the Social Theater of Castiglione, which, in turn, presents in its schedule a representation of Guidizzolo, offered at a lower price to all of the Mantua theaters subscribers. Programming is organized with the collaboration of Centro Teatrale Lariano – Lorenzo Minniti. The subscription campaign is open from 8 November to 21 November 2014.